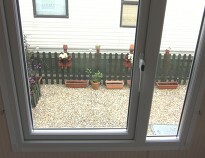 Not All windows are the same, take a look at the difference! 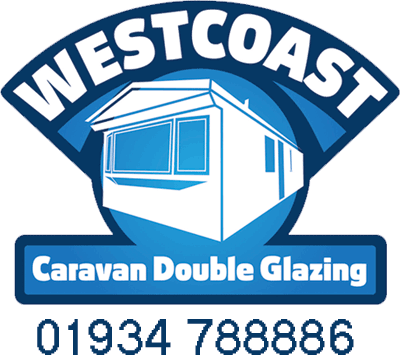 All our static caravan double glazing windows and park home double glazing windows are made to measure to ensure a nice snug fit. 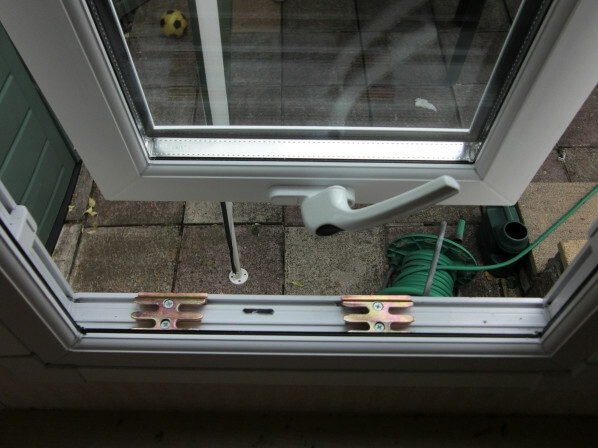 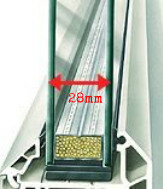 which have 2 locking points and are operated from one handle, the locking system is installed inside the window sash, which is much more secure, than the standard two cockspur handles that lock against the frame which are offered by most other companies. 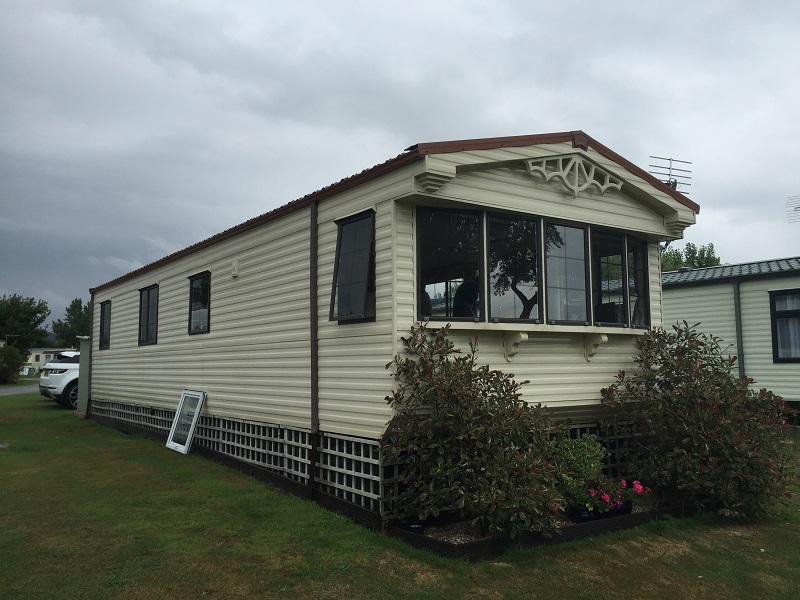 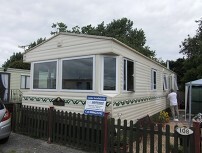 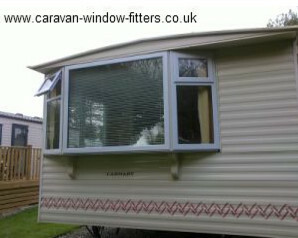 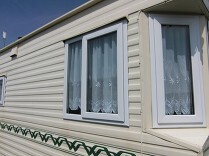 (Slightly open) which is great for those hot summer nights, and also if pets are kept in the caravan this allows constant ventilation, and the windows are locked for security , windows with cockspur locking handles offered by most other companies do not have this facility. 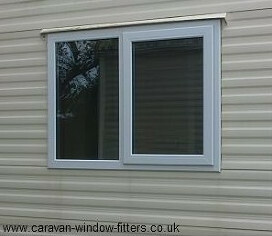 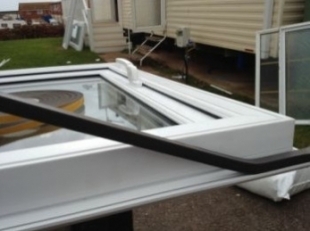 All our caravan double glazing windows are installed without the use of sealants, we use a special foam gasket that when compressed against the sidewall of the caravan is completely water tight. 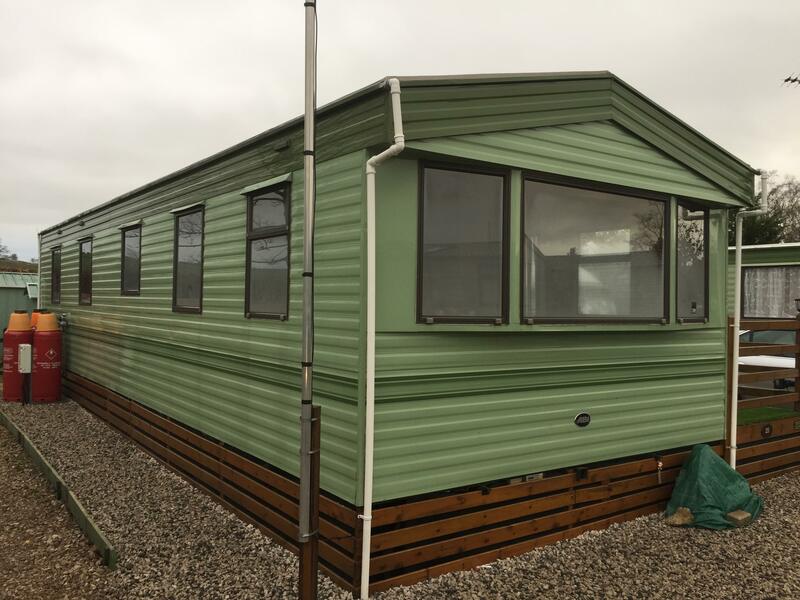 By using this system there is no need for silicone sealants that after a couple of years start to discolour, and also the use of a foam gasket allows for the movement in the caravan structure during hot, cold and windy conditions. 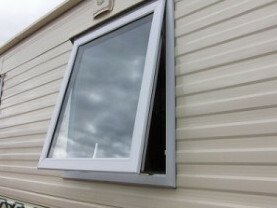 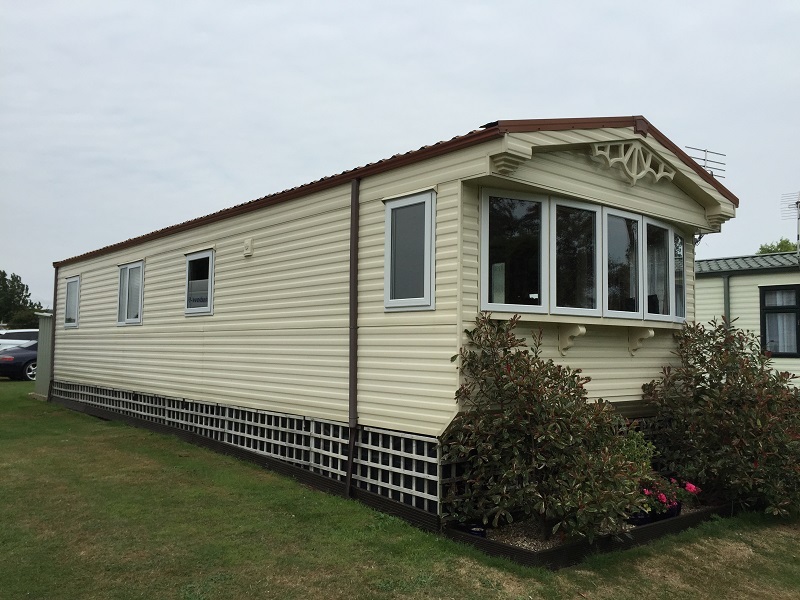 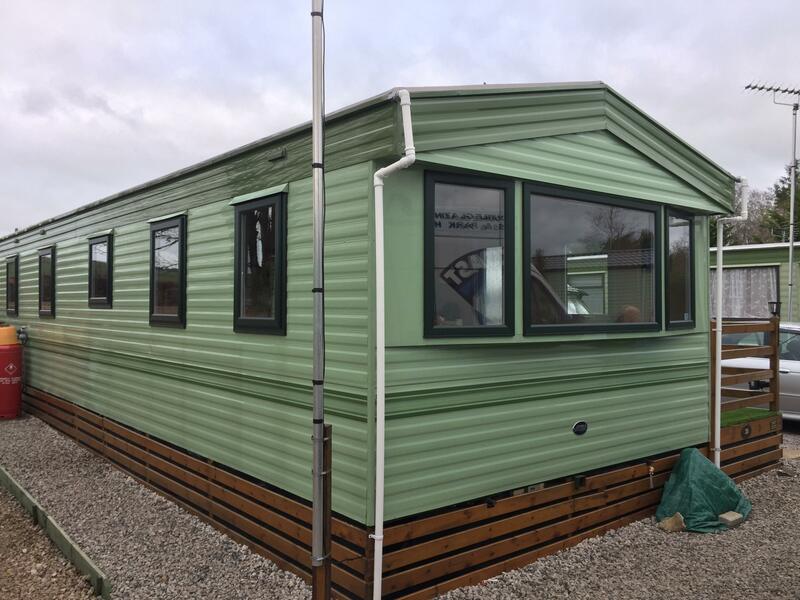 Our windows are fitted without the use of screws and sealants and are the latest static caravan double glazing system to be used by some of the large static caravan manufacturers. 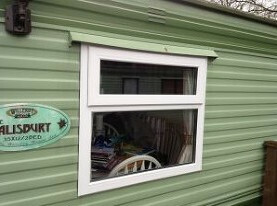 If you fancy something a bit different to stand out from the rest, then why not have a leaded / bevelled glass design fitted to the fan lights or doors. 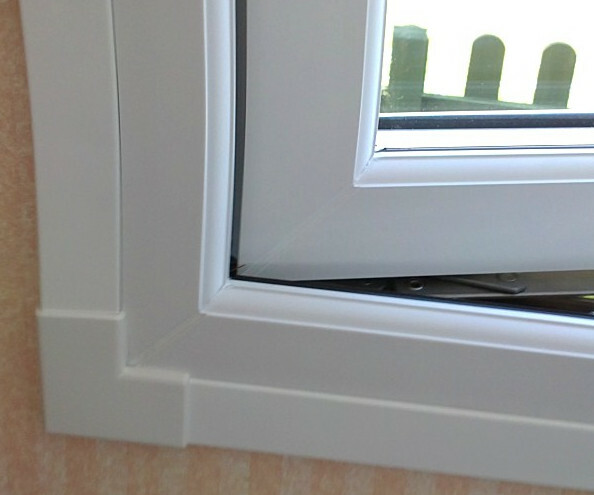 We offer the full range of Regalead designs please click on the link below to view brochure.